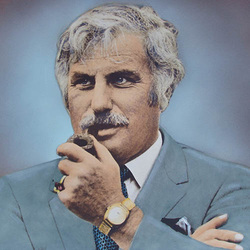 The coach of UM's first national championship team, Howard Schnellenberger was responsible for the turnaround in UM football from 5-6 in 1979 to 11-1 and a national championship in 1983. With his 41-16 coaching record, Schnellenberger owns the fourth-highest winning percentage (.719) in UM history. He brought UM into the national spotlight with upset victories over Penn Sate in 1979 and 1981 and led Miami to two bowl victories: 1981 Peach Bowl, 20-10 over Virginia Tech and the 1984 Orange Bowl, 31-30 over No. 1 ranked Nebraska. Schnellenberger's teams went 25-2 at the Orange Bowl and had 14 network television appearances in five years after only one appearance the previous five seasons. He left Miami after the 1983 season and would later coach at Louisville, Oklahoma and Florida Atlantic University, before retiring in 2011, with 158 victories across 27 seasons at the four different programs, and a perfect (6-0) bowl record.